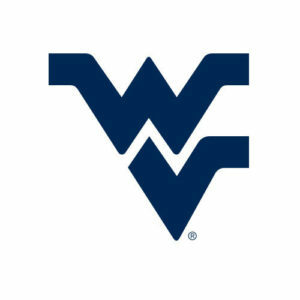 IMG Learfield Ticket Solutions announced West Virginia University as its “Property of the Year” at the 2019 IMG Learfield Ticket Solutions’ conference for its general managers last week in Orlando, Florida. In addition to Property of the Year, the Mountaineers’ General Manager Lee Harris was recognized as “Rookie General Manager of the Year” and Associate General Manager Derek Stahl was announced as the “Salesperson of the Year”. The Property of the Year Award is presented to the IMG Learfield Ticket Solutions team that shows over-achievement with sales goals, creative initiatives to promote staff development, and a continual focus to build positive administrative relationships. Penn State took home a total of nine awards including “Top Group Sales Property of the Year”. Amanda Shugarts, general manager of the Tennessee Vols team, was honored as the “General Manager of the Year”. Now representing 47 collegiate and professional partners, IMG Learfield Ticket Solutions added 11 on-site collegiate partnerships in 2018 including App State, EKU, Georgia, Houston, Iowa, Northern Arizona, Seton Hall, SMU, TCU, Troy, and UC Irvine. For more information on IMGLTS and its solutions, visit www.imglearfieldticketsolutions.com or contact Tyler Reichwein at (352) 223-9361 or Tyler.Reichwein@imglearfield.com.